In this article the authors focus is not how to start a particular business but is a step before becoming an entrepreneur. Not also what a good business to start, because in Islam any business as long as halal would bring a blessing for the sustenance of each people are guaranteed by Allah Subhanahu Wa Ta'ala. Entrepreneur is a calling of the soul, even called the profession. A good entrepreneur is a very noble thing because it gives benefits to many people, certainly the business field in question is a good and halal business of Allah Subhanahu Wa Ta'ala. Even the Messenger of Allah, Muhammad said that trading is a glorious work, even the Messenger of Allah and some Companions are entrepreneurs / traders professionals and are said to be successful. However, the Prophet also reminded us to be merchants / businessmen who did not forget or leave prayers and Dhikrullah, because the Prophet warned that the market is a place that is hated by God but it's not the market, but the human behavior is busy with buying and selling then forget to remember Allah Subhanahu Wa Ta ' ala, the existence of cheating, fraud, usury and various crimes also occur in the market. Hopefully this article helps friends all become entrepreneurs who uphold honesty, pay attention to norms and laws in trade, and hopefully also useful for friends who cultivate the business world in addition to trade or business only. The world-as the name implies-is a contemptible and small thing before Allah Subhannahu wa Ta'ala, as the Prophet Muhammad Shalallaahu alaihi wasalam said, "The world is cursed, it cursed also what is in it, except Dhikrullah and all who support it, and people who learn science and teach it." (Narrated At Tirmidhi and said, "Hadith Hasan Shahih"). It's good we learn religion both from general to special to become entrepreneurs, friend of the prophet Umar bin Khatthab Radhiallaahu anhu said, "Who do not understand the problem of religion should never trade in our market." 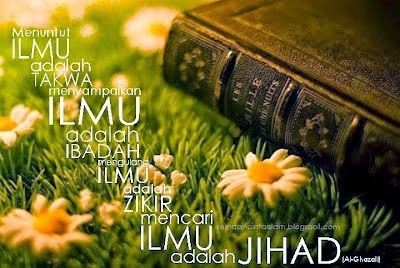 Well, for friends all before trying must learn first learn jurisprudence and muamalah. For no doubt, that the person who does not learn the problem then plunges into the world of commerce and business, it is very likely that even the greatest likelihood will lapse into the prohibition. Notice in our intention to do business to pursue the world alone or in order to worship God in the sense of making a living for themselves and family or to create jobs to help many people and others. Paying attention totally and completely to the world is a fatal mistake. A believer should not be proud of the world that is gained and do not grieve when he loses it. The world, as told by the Prophet Shalallaahu alaihi wasalam is the prison of the believers and the heaven of the unbelievers. So make sure our first intention only to worship God. The Prophet Muhammad Shalallaahu alaihi wasalam said: "An honest and trustworthy merchant with the prophets, shiddiqin and martyr." (Narrated by At-Tirmidhi, he says, "Hadith hasan"). He also asserts in another hadith which means, "Whoever deceives, then is not our class, lying is placed in hell." Tricks like this are often done by traders, let alone traders in this period who on average do not know the laws and rules. By stockpiling merchandise, they want the price to be high, because if demand a lot while goods are circulating a bit, then the price can be played at will seller. Rasulullah Shalallaahu alaihi wasalam said to Ka'ab bin 'Ujrah, meaning, "O Kaaab bin' Ujrah! Surely it will not enter the heaven of flesh that grows from the haram (suht). " Ibn Abbas Radhiallaahu anhum once said, "Seeking a halal income is heavier than moving one mountain to another." Yunus bin Ubaid said, "I do not know what is the rarest of the infernal dirhams infiltrated." This is said in the time of Jonah bin Ubaid, then what will we say at this time? In the days when the capitalist and ruling systems were rampant, businessmen and businesses rarely knew jurisprudence and trade law. Also said Yahya bin Muadz, "The wording is stored in the treasury of Allah Subhannahu wa Ta'ala, the keys are prayer, while the teeth are halal bites." If My word is wrong or not good I do apologize, because I still learn english now. Thanks For Your Comment. 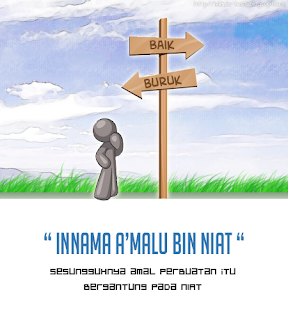 Belum ada Komentar untuk "How to become an amazing islamic businessman"